With winter right around the corner, we couldn’t help but get inspired by the magic of the season. 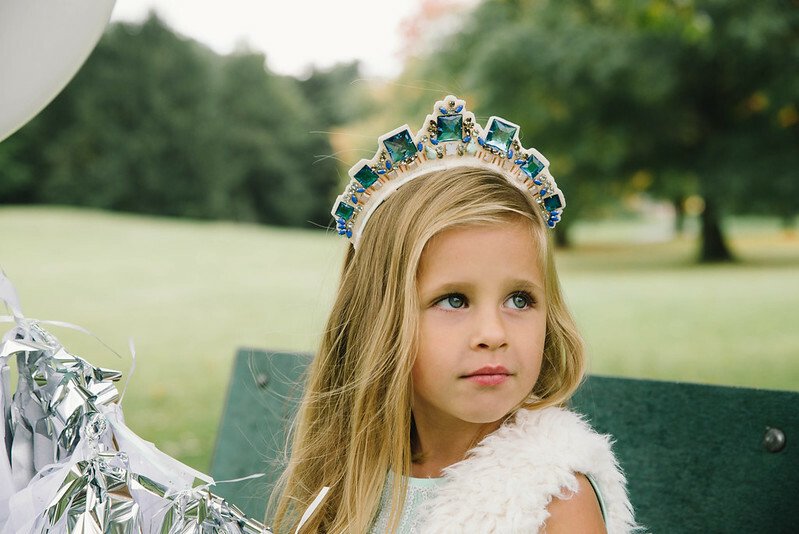 We turned to whites and silvers for this seasonal celebration fit for a winter queen. 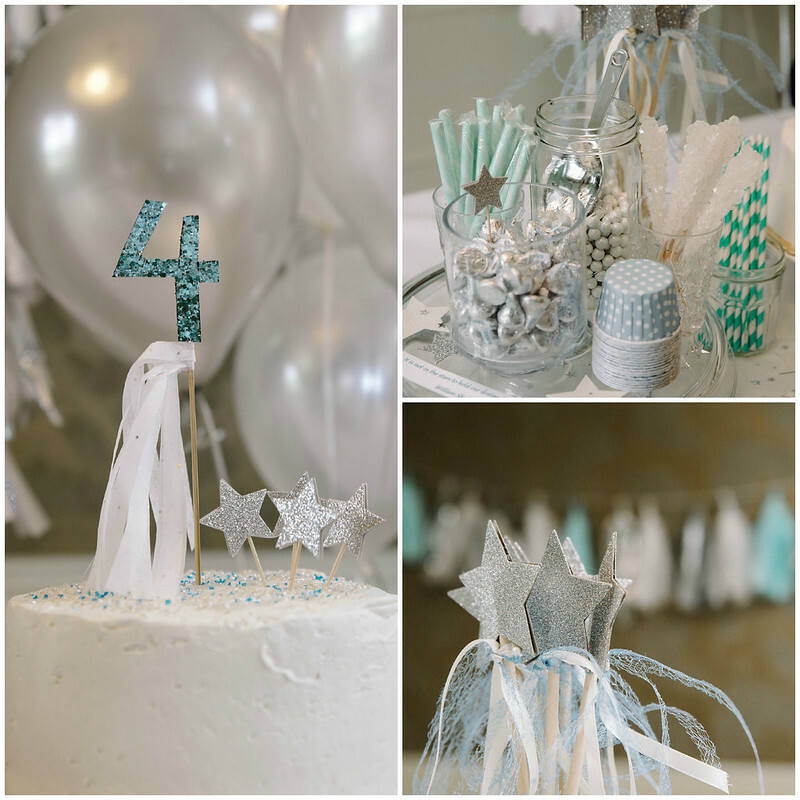 By combining a few party accessories with items from around the house, you’ll be able to throw together a winter scene in no time. 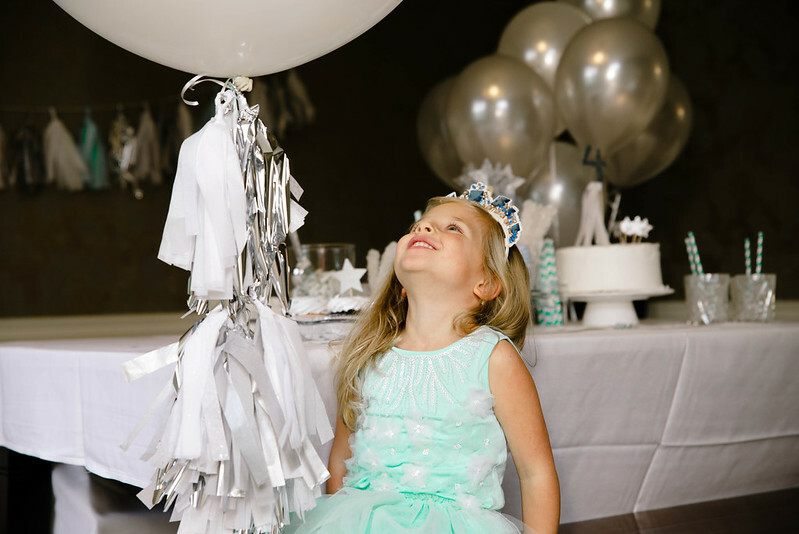 Create your very own fringe tassel garland out of tissue paper and add several balloons for a whimsical feel. I decided to forgo the traditional gift bags and set out a candy station that also served as the center piece for the table. Crystal rock candies, white M & M’s and peppermint sticks are the perfect fit for a cool treat! 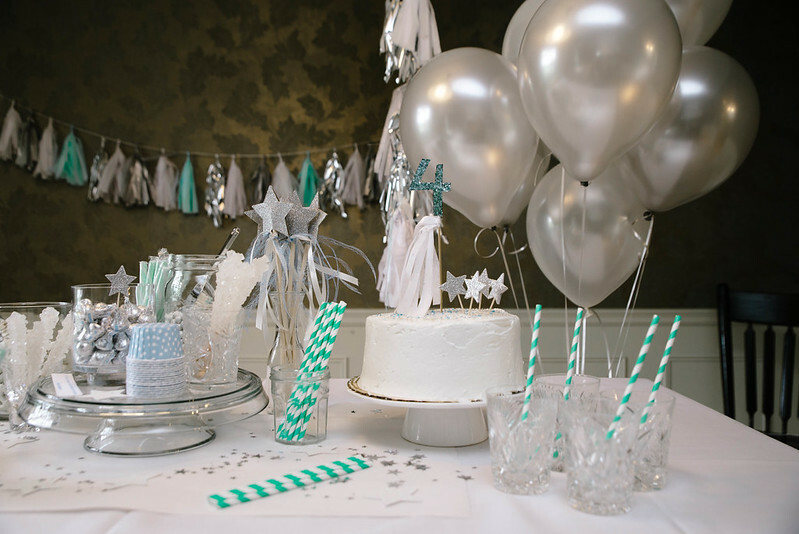 And of course, we can’t forget the vanilla bean cake and chocolate cupcakes smothered in glittery white buttercream icing- reminiscint of freshly fallen snow. And the most important accessory? Why the queen’s attire, of course! 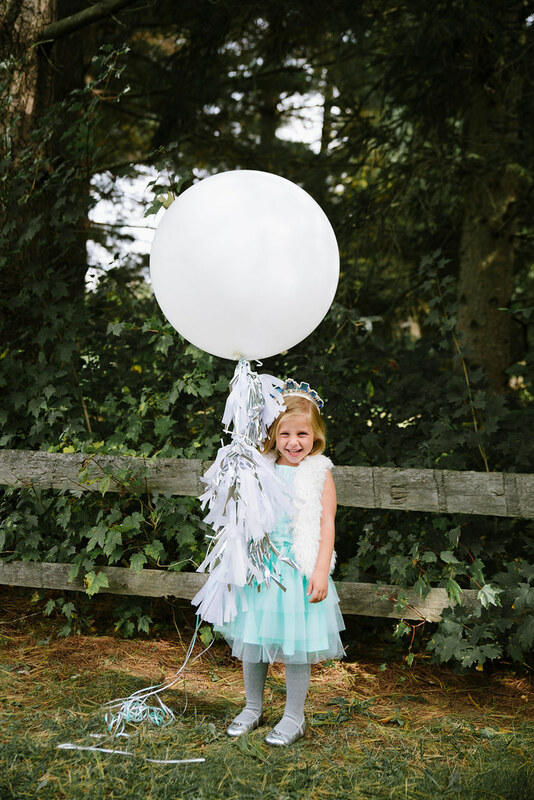 The Daisy Chain Tutu Dress from Tutu Du Monde adds just the right amount of contrast to the hints of white and silver. And if you experience a frosty day, simply add a faux fur vest and wool tights. 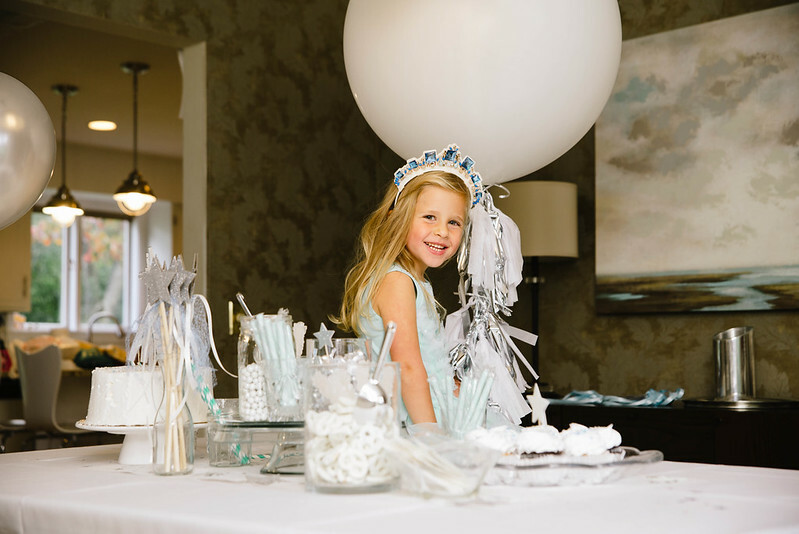 This winter themed party is bound to make any little girl feel like a winter queen.